I felt inspired today to write about the holiday season, and some ways I plan to stay "in the moment" and reduce stress over the next few weeks. I find myself slowing down more and more lately. I've officially finished graduate school, Ross and I are celebrating our one year anniversary and I've settled into my new job. I want to maintain this feeling over the next few weeks and enjoy every moment. The holidays can be such a fun and happy time, but it can also cause a lot of stress. I can find myself stressing out about the silliest things; one of the big ones for me was a dress for Ross' work party at The Hardshell. I searched and searched online and couldn't find ANYTHING. Thank God for a trip to Macy's with my mom- we found two perfect dresses at an amazing price! In the grand scheme of things, the holidays are supposed to be a special and joyful time, but it’s anything but that for many people. How do YOU want to feel over the next few weeks? Are you feeling overwhelmed when you look at your "to-do" list? Do you feel stressed out about all your commitments? Are you stressing over silly things like a holiday dress, or recipe? 1. Prioritize what's important! Take time to look at your calendar or schedule and prioritize what NEEDS to get done, what you'd LIKE to get done, and what can be put off until later. List your top 3 things, or non-negotiable and hold yourself accountable. I love setting reminders in my phone for each day to keep me on track! 2. Be okay with saying NO! The holidays are an important time to do what makes you happy, and recharge. If you have extra time off of work, don't stress yourself out by over-committing to things. Between events for your kids, holiday parties, shopping, wrapping, etc. you need to make sure you're conscious of your time. How do you want to be spending your time off? Don't feel guilty for saying no. Own it and just say "it's not about you, it's for me." 3. Take time for self-care! Go get a pedicure, take a walk around the neighborhood, go for a drive, browse Target (my favorite), meditate, cozy up with a good book, journal, or spend time with those you love. This will help you feel relaxed and positive through all the craziness the holiday season brings. 4. Unplug! One of my goals during the holiday season is to spend less time on my phone, and more time staying present and enjoying moments with family and friends. Check out the "Moment" app on your phone- it tracks how much time you spend on your phone daily. After seeing how much time your spending, cut that time in half, or stay off social media for a day or two during the holiday season! Instagram also has a new feature where you can monitor your activity and set limits for the day. 5. Make a vision board! 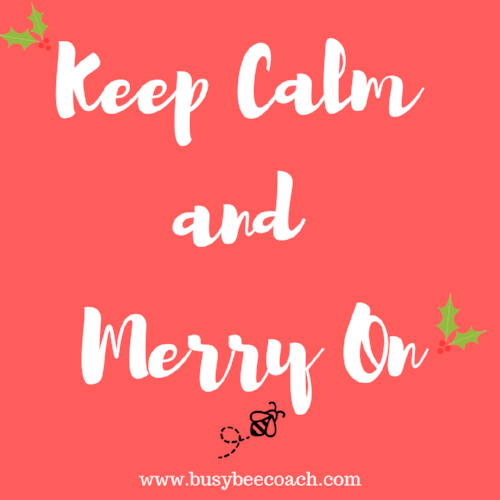 What better way to stay focused on your goals, and present during the holiday season?! You can get poster board, or a cork board and cut up some old magazines! Pour some wine, put on some holiday jams and get inspired as we wrap up 2017! Every year I find a cork board from Target or Amazon and save up magazines that come in the mail this time of year. I also check Pinterest for specific quotes or pictures that inspire me. Then I just cut out the pictures while thinking about my dreams for the next year and pin them on! I love hanging it in my office for extra inspiration. 6. Keep a to-do list! One of my favorite ways to relax but also feel productive over a break is keep a to-do list. Over thanksgiving break, I wanted to clean up our office area, work on our baby’s nursery and address all of our Christmas cards. Being intentional and writing things down beforehand was really helpful! It felt great to come back to work and check things off my list on my productivity planner! Hopefully you found some of these tips helpful! The productivity planner I designed can also give you monthly inspiration, productivity tips, a place to reflect on the past month and also keep track of all the events over the holiday season and beyond. Click here to buy + don’t forget to buy for your girlfriends or co-workers! Happy Holidays and thank you for being on this journey with me!